At ground level 25 platforms are located beneath a five span train shed. 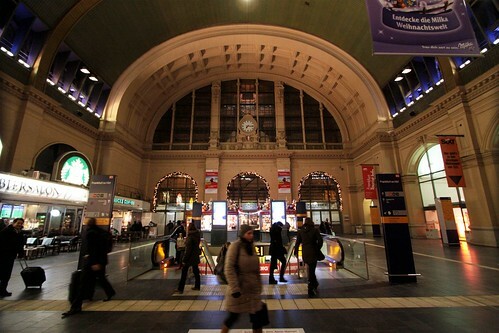 High speed trains use some of the platforms. 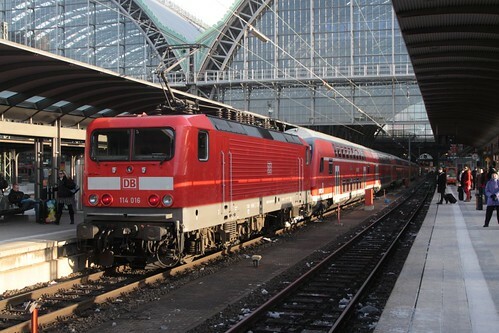 With locomotive hauled double deck trains on regional services also serving the station. 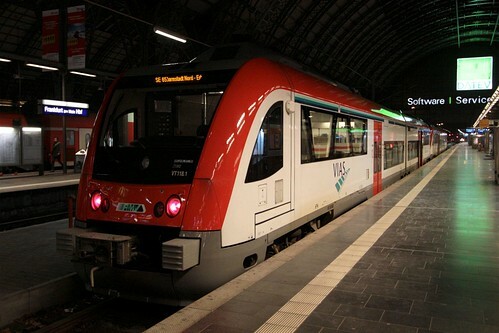 Along with shorter electric multiple unit sets. And diesel multiple unit trains. 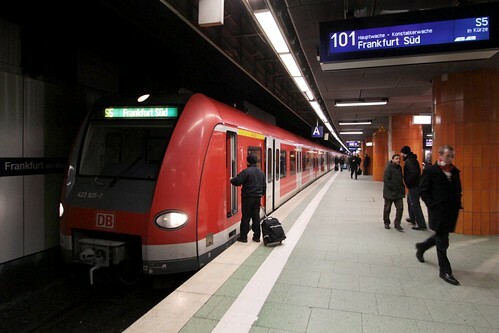 Downstairs from the mainline station are another four platforms, called Frankfurt (Main) Hauptbahnhof Tiefbahnhof and used by electric multiple trains of the Rhine-Main S-Bahn network. 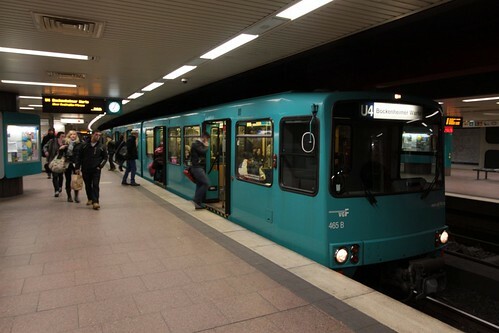 And in a separate underground section are four more platforms, called U-Bahnhof Hauptbahnhof, and served by the much smaller trains of the Frankfurt U-Bahn. Quite a complex station, isn’t it? 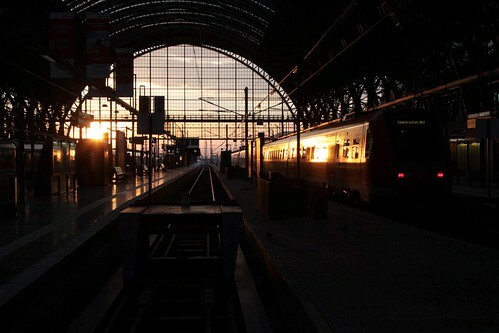 I’ve written about Frankfurt (Main) Hauptbahnhof before, when I discovered the mysterious ‘Feuerwehr Übungstunnel’ platforms when riding the U-Bahn network. 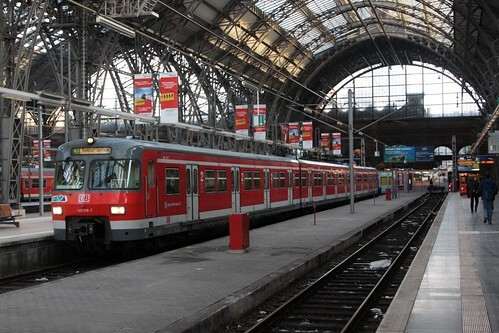 The impetus for writing this blog post was a comment by @trainspotter67 on Twitter regarding the S-Bahn platforms at Frankfurt (Main) Hauptbahnhof. A simple distinction, but a useful one for new users of the station. 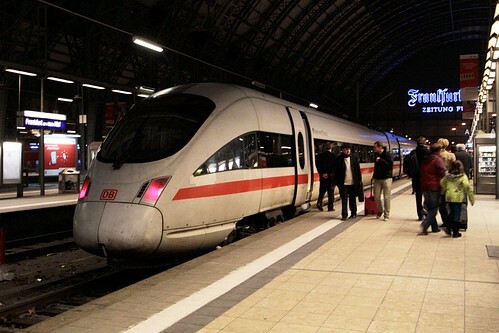 This entry was posted in Trains and tagged Deutsche Bahn, Frankfurt, Germany, metros, railways, S-Bahn, U-Bahn. Bookmark the permalink.